Fallbrook sits in a Mediterranean climate zone with abundant sunshine, near perfect weather and whether you have a family home, vineyard, farm, horse property, or larger estate with outbuildings, you will be able to use solar power to its maximum potential. Of course, with a property, your energy needs will undoubtedly be more than average home owners with everything from running your pool filter, air conditioning, outdoor lighting, and equipment. Using more power means an increase to your electricity bill each month and the easiest way to counteract those expenses is a solar energy system custom built for your needs. We offer numerous financing options with tax and utility incentives to help secure your power rates for multiple years. Is Your Home in Fallbrook Solar Power Ready? When traveling around the Fallbrook area it’s tough not to see many homes, businesses and properties using solar panels for green power, but why did those owners choose to go solar? When thinking about choosing a solar energy contractor in Fallbrook, we know how confusing it can be to decide who to choose and if solar even makes sense for you and your home. We often get questions like; How many panels do I need? How much does solar cost? Who should I choose to install my solar? And Should I lease solar? We will answer all of these questions and more during your free solar consultation. No doubt, the energy monopolies are going to continue to drive electricity rates higher, and who knows what you will be paying to power your home in 10, or 15 years. One thing you can count on is it will be considerably higher than you are paying today. Flipping the switch on an environmentally friendly green solar power system provides significant advantages for you and your bank account. Fallbrook is a desired location in San Diego County, and the real estate values continue to rise. The lots available with more space between your neighbors have become more sought after, and the area continues to thrive, which makes solar panels a fabulous way of raising the value of your home or property. Can Solar Panels Add Value To Your Fallbrook Home? Why Should You Hire A Local Fallbrook Solar Energy Contractor? CalState Solar has helped solar power customers in the Fallbrook area for many years. 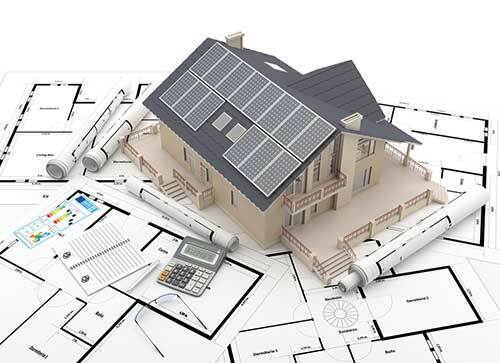 We are familiar working with the city for solar permitting and community HOAs to ensure your solar panel install goes well. From Olive Hill to Rainbow and all the neighborhoods in between we deliver solar energy installations you can count on. We serve the communities of Sunset Grove and Alta Vista to Bella Vista Estates and the Champagne Crest into the Gird Valley, Winterhaven Heights and Upper Gird Valley to Pepper Tree Park, Old Pepper Tree. Along with the East Fallbrook neighborhoods to Kings Park, West Of Mission and East of Alvarado St. to upper Fallbrook, Hillcrest/Knoll Park, and Gum Tree areas and we think CalState Solar is the best Fallbrook solar installer available for your home. We are located just West of the I-15 freeway not too far from you, and several of our solar installers live in the immediate area. When you hire a local solar energy contractor, more of your money resides right here in our area, and of course, that continues to impact the city in meaningful ways.